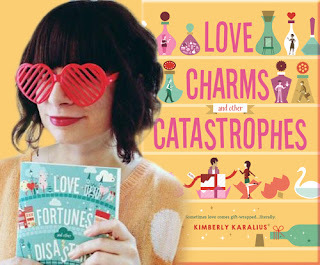 Today we have the pleasure of meeting up with author Kimberly Karalius to talk about Love Charms and Other Catastrophes (12 May 2016, Swoon Reads, 385 pages), a Young Adult Fantasy Romance, book two of the Grimbaud series. "An unusual love story that will delight readers. 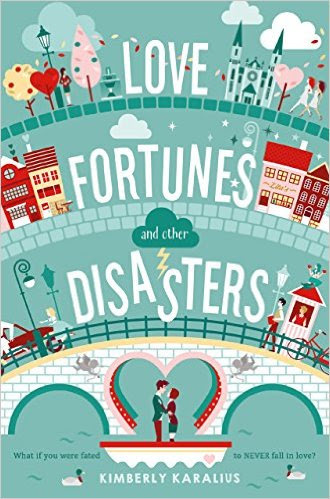 "School Library Journal on Love Fortunes and Other Disasters"
"An excellent choice for middle schoolers. Karalius provides a unique fantasy that combines elements of romance, mystery, and family drama." -- "School Library Journal"
A very warm welcome to Kimberly Karalius; thank you for joining us on BooksChatter! As you know, we love music, so Kimberly Karalius has shared with us her music playlist for Love Charms and Other Catastrophes - enjoy! What was the inspiration for Love Charms and Other Catastrophes? "After I finished writing Love Fortunes and Other Disasters, I knew that there were more stories to tell. Specifically from Hijiri, a budding love charm-maker in a newly-freed town. Even though Hijiri grows a lot in the first book, she’s still shy and stubbornly focused on her dreams – to the point where she believes she doesn’t have time or the capacity to welcome love into her life. But Love wants to prove her wrong, so it leaves a gift-wrapped boy outside her doorstep: Kentaro Oshiro. As soon as the idea popped into my head, I knew I had to write it. Exploring what happens to Hijiri as well as how Grimbaud changes as new love charm-makers move into town to take Zita’s place was like coming home again." "Every writer pours his or herself into the stories they tell, but I don’t consciously put myself into my books. Experiences and bits of dialogue sneak their ways in, of course, and it’s fun when my family and friends will catch things that I didn’t when I wrote it. In a general sense, I’m sure my weird sense of humor shines through, as well as my love for all things quirky." The first thing that draws me to a book is its cover. Can you tell us about your cover for Love Charms and Other Catastrophes - why you chose that concept and who the artist is. "A big theme of Love Charms and Other Catastrophes is love charm crafting, which wasn’t seen in detail in the first book. So to celebrate that, the cover shows bottled love charms on a shelf. The main character, Hijiri Kitamura, and the mysterious boy-in-the-box, Kentaro Oshiro, are on a shelf together under the title. The other characters on the cover are the love charm-makers that Hijiri is competing with for the title of Best Love Charm-Maker in Grimbaud. The cover is illustrated by the talented Zara Picken, who had also illustrated Love Fortunes and Other Disasters." Why should we read Love Charms and Other Catastrophes and what sets it apart from the rest? What makes your series unique? 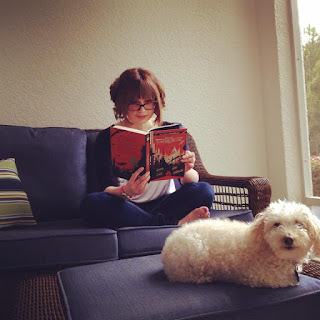 "I think the Grimbaud series is unique in that the characters believe so strongly in Love. Their world revolves around receiving love fortunes with their futures scrawled in red ink, crafting or buying charms to help them talk to their crushes or save a failing relationship, and dining on chocolate and heart-shaped treats. Meanwhile, a very real Love sometimes steps in to interfere with the townspeople’s lives… usually for the better, but one can never tell with Love. I’ve never run across a world quite like this as a reader, and I hope it inspires other readers to think about how they view love and relationships – and waffles." Can you tell us something quirky about Love Charms and Other Catastrophes, its story and characters? "Even though the town of Grimbaud is set in a fantasy world, it’s heavily inspired by a real place: Bruges, Belgium. When you think of romantic locations, Paris and Venice usually come to mind. 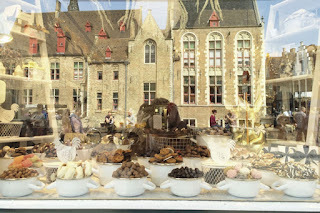 However, I was already intrigued by Belgium after hearing stories about living there from an old family friend. Bruges was perfect: markets and medieval buildings, canals, chocolatiers, and, of course, waffles. When I was crafting the characters, I made sure to choose Flemish names for the Grimbaud natives." Who would you recommend Love Charms and Other Catastrophes to and what should readers be aware of (any warnings or disclaimers)? "Readers of both YA and middle grade fantasy would enjoy visiting the charming town of Grimbaud where Love reigns. Love Charms and Other Catastrophes in particular would appeal to those who are embarking on their first relationships or struggling with the idea of balancing the head and the heart like Hijiri does." If you could / wished to turn Love Charms and Other Catastrophes and the Grimbaud series into a movie, who would be your dream team? 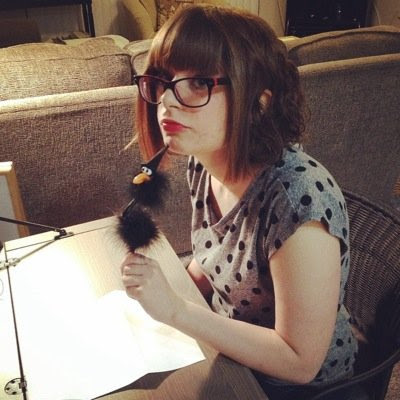 "Honestly, I would put all my faith and trust in Bryan Fuller, the creator of my most favorite TV show ever, Pushing Daisies. His ability to bring out humor, whimsy, and the emotional heart of a story is just amazing. In terms of the cast, ultimately I’d love to see new faces – unknown and up-and-coming actors and actresses to bring Grimbaud’s citizens to life. 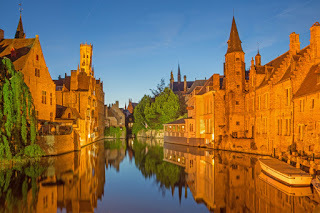 Filming on site in Bruges, Belgium would be pretty epic." "I like to write the kinds of books I read: stories with weird characters and even stranger situations. I love writing in the YA genre, though within that broad spectrum, my stories range from fantasy to magical realism. I tend to stick to the same genres since those are the ones I love, but if a story begging to be written falls outside of that, I’m up for the adventure of writing in new genres." "I’m like a crow when I start working on a new project; I collect a bunch of shiny ideas and start playing with them, fitting them together to form a quirky story. From there, I get to know my characters and world. Although I’m a panster by nature, I do outline as I go along. Usually a chapter or two ahead of where I’m at. The first draft for me is about getting the story down on paper. Then I’ll go back over the manuscript and start cleaning it up, making scenes stronger and fixing any glaring grammatical or sentence structure errors." "Love Charms and Other Catastrophes is the second book in the Grimbaud series – and the last, at least for now. I’m currently working with Swoon Reads on my next book *takes a sip of tea and tries not to look too enigmatic*"
"I do have a pet! 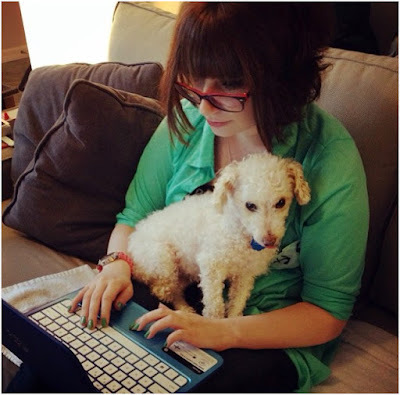 Her name is Misty and she’s a miniature poodle. More often than not, she sits on my lap when I’m writing. I’ve learned how to type her there. Having her with me when I’m working on a tough scene is a nice kind of support." Hello Misty! I have seen so many pictures of you (I even sneaked one in earlier ;-) ) - you are such a sweety :-) Lots and lots of cuddels to you from all of us at BooksChatter! Thank you so much again for visiting us today, Kimberly! Available for Pre-Order NOW! Out on 12 May 2016!